WASHINGTON — The U.S. and North Korea held highly anticipated talks Friday aimed at resuming stalled efforts to end the North’s nuclear weapons program by arranging a second summit between President Donald Trump and North Korean leader Kim Jong Un. 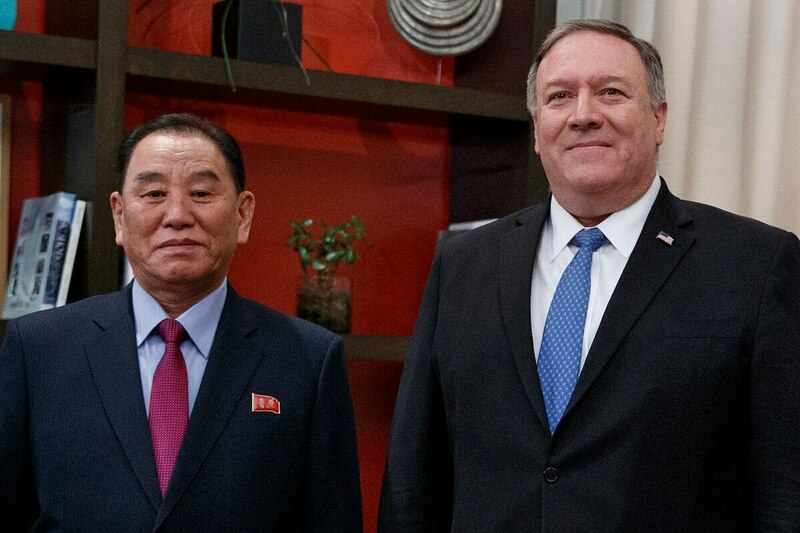 Secretary of State Mike Pompeo and North Korea's former spy chief, Kim Yong Chol, did not respond to reporters' questions before their hourlong meeting at a Washington hotel. Pompeo then went to the White House. The North Korean envoy was expected to join him there later for a possible meeting with Trump. Vice President Mike Pence said Wednesday that the Trump-Kim dialogue was "promising" but that "we still await concrete steps by North Korea to dismantle the nuclear weapons that threaten our people and our allies in the region." Trump has offered assurances that a second summit would allow him and Kim to seal a deal resolving the nuclear standoff and improving a relationship marked by decades of animosity and mistrust since the Korean War. Kim abruptly turned to diplomacy with Seoul and Washington last year, possibly fear the economic effect of the penalties imposed over the weapons tests. Independent analysts are highly skeptical that North Korea will easily abandon a nuclear arsenal constructed in the face of deep poverty and likely seen by Kim as his only guarantee of his government’s survival.